SKW Insurance is 100% independent of any insurance company providing non-biased guidance. One of the top concerns of many retirees is the cost of health care as they get older. 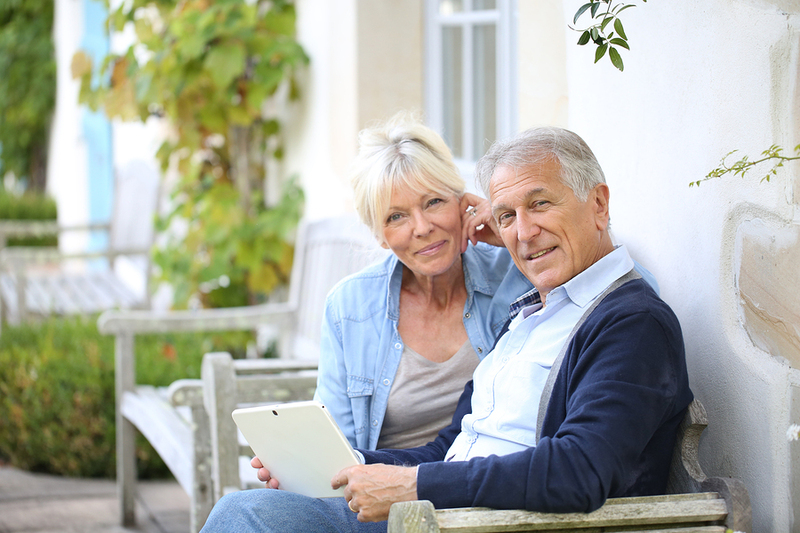 I offer a complete and comprehensive knowledge of Medicare planning. I am 100% independent of any insurance company and my goal is to help you choose your best plan with non-biased guidance. We will discuss what is important to you and how you would like your plan to work WHEN you need it to. I can then present options and quotes and make the most appropriate recommendations. I usually find that most people enjoy a plan with no co-pays and very low or no deductibles, over possibly a $0 monthly premium, but the choice will be yours. Low premiums but high exposure may be ideal for some but these plans don’t work for everyone. There is much more to understand about a plan than its monthly premium. Individuals age 65 or older. Individuals under age 65 with certain disabilities. People of any age with End-Stage Renal Disease (ESRD)—permanent kidney failure requiring dialysis or a kidney transplant. Are you in good health or do you have chronic conditions? What doctors do you see regularly and for what kind of care? How much did you spend on health care last year? We were totally confused when we were faced with which Medicare supplemental insurance plan would be best for us and Kay, in one short afternoon session, helped us pick the right one for each of us without any pressure at all. After days and nights of worrying, all our questions were answered, and we were signed up and ready to go. The following year, Kay again found the perfect plans for us and again, we are so happy with her help and expertise! Original Medicare, managed by the federal government, provides Medicare Part A and Part B coverage. Helps cover inpatient care in hospitals, skilled nursing facilities, hospice care and some home health care, however only if certain conditions are met. Helps cover doctor’s services, outpatient medical services, lab services, X-rays, MRIs, CT scans, EKGs, and some other diagnostic tests, some preventative care services, emergency room services, durable medical equipment, mental health as outpatient, some Rx drugs administered by a doctor. These options (HMOs and PPOs) are approved by Medicare and run by private insurers. They provide insurance for hospital and medical services and sometimes prescription drug coverage. Out-of-pocket costs and cost sharing differ from Original Medicare and may depend on whether services are received in or out of network. Plan choices are based on networks, counties and zip codes. Medicare drug plans are run by insurance companies and other private companies approved by Medicare. These should be chosen based on your specific medications as cost and formularies can vary greatly between companies. Timing matters when you’re joining Medicare. When you turn 65 or otherwise become eligible for Medicare, enrollment windows open, but some of these windows will close quickly. If you wait until later to sign up, you may have fewer choices and you may pay more. Here’s a look at when to enroll. Your first decision is whether you want Original Medicare (Part A and Part B) or Medicare Advantage (Part C). They cover the same basic services, but they work differently. Your choice depends on what you need. Once you decide, you’ll have other choices to make. If you choose Medicare Advantage, you’ll have to pick a specific plan from a particular company. If you choose Original Medicare, you’ll have more choices. You’ll need to choose from several companies and plans if you want to buy a Medicare supplement policy or stand-alone drug plan. Medicare supplement plans (also called Medigap) are specifically designed to supplement and only work with Original Medicare. Private insurance companies offer Medicare supplement plans. Help with managing out-of-pocket costs. Provide stability and more predictable costs. Allow the freedom to choose any doctor who accepts Medicare. Offer national coverage so beneficiaries can use benefits anywhere in the U.S.
Offer foreign travel coverage for emergency services (for most plans). The federal government has 10 different Medicare supplement plans, named with letters from “A” to “N.” (These letters have no relationship to the Medicare Part A, B, C and D designations.) The different types vary in which gaps in coverage they fill. To keep it simple, all policies with the same letter offer the same benefits. This chart shows standard benefits for each plan type. Not all plans are available in all states. Let’s discuss your options in exploring and covering your Medicare health care to preserve your Social Security income and retirement income. Everyone’s situation can be different so it is very helpful to speak with a Medicare specialist. These are important decisions we can address together to give you peace of mind in your future medical needs.